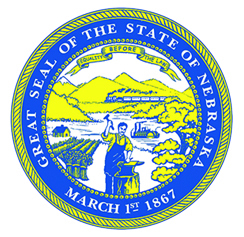 Humanities Nebraska Executive Director Chris Sommerich was elected to the Federation of State Humanities Councils board of directors, effective November 1, 2014. He is one of four new board members, which include another state council executive director and two public candidates. Sommerich is a Certified Fund Raising Executive (CFRE), a certification that emphasizes the highest standard of ethical and professional conduct in fundraising. Sommerich has also served on the board of directors of the Nebraska Chapter of the Association of Fundraising Professionals, where he was president in 2010, and is currently on the board of Community CROPS. The other council executive director who was elected to the board is Keira Amstutz, the current Indiana Humanities’ president and CEO. The two public representatives are David Reetz, former president of the Wyoming Humanities Council board of directors, and William Tsutsui, former member of the Kansas Humanities Council board of directors and president of Hendrix College in Conway, Arkansas. The Federation of State Humanities Councils, founded in 1977, is the membership association of state and territorial councils that provides support for the state humanities councils, and strives to create greater awareness of the humanities in public and private life. The state humanities councils are independent, nonprofit organizations run by small staffs and governed by volunteer boards drawn from academia and the public, which support grassroots humanities programs and community-based activities. Humanities councils were created by Congress in the early 1970s and receive an annual congressional appropriation through the National Endowment for the Humanities, which for most councils is supplemented by state and private funding.